Louis Vuitton will work with the Hayward Gallery, Royal Academy of Arts, South London Gallery, Tate Britain, and Whitechapel Gallery to realize the initiative. The Young Arts Project looks to "extend opportunities to younger, often less privileged people to access the art world." 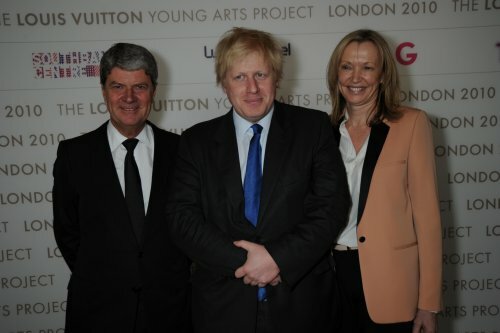 The three-year scheme will see the creation of five panels of London-based youths aged between 13 and 25. These groups will enjoy special art exhibition tours and participate in workshops and creative sessions led by the UK's most prominent artists, museum directors, and art collectors. Louis Vuitton's investment in the project is rumored to be more than one million pounds. That's definitely impressed London mayor Boris Johnson, who had this to say about the scheme. "What is particularly exciting is that Louis Vuitton wants to use its cachet and its cash to involve young people in the arts and is working together with such high profile cultural institutions. This chimes with so much of our work at City Hall to provide positive opportunities for young people and to promote culture in these difficult times. London needs businesses like this to think creatively about what they can give back." It's always inspiring to see a luxury label looking beyond the world of fashion and giving back. Well done Louis Vuitton!